Washington’s foreign policy is driven by hysteria and resembles a “reality show” in which nobody cares about facts and resorts to old cliches and attacks on Russia to gain international and domestic political capital, said Russia’s foreign ministry spokeswoman. The political process driven by Moscow and Washington aimed at establishing a long-lasting peace in Syria is hanging by a thread after a series of events this month led to severe mistrust between the leading nations involved in the peace process. While US-Russian relations steadily deteriorated after the February 2014 coup in Ukraine, both states found the political will to cooperate on a number of important international issues ranging from Iran’s nuclear program to the Syrian armed conflict. Months-long diplomatic efforts on behalf of Russia and the US almost produced results, when US-led coalition jets bombed Syrian government forces’ positions near the eastern city of Deir ez-Zor, killing 62 troops and “paving the way”, according to the Syrian Army General Command, for Islamic State (IS, formerly ISIS/ISIL) terrorists to storm the city before Russia intervened on Saturday, September 17. Two days later on Monday, an attack on a UN aid convoy which killed more than 20 people near Aleppo saw the US-Russian brokered cease-fire crumble. The US held Syria and Russia responsible for the strike on the convoy delivering food relief to a rebel-held area. 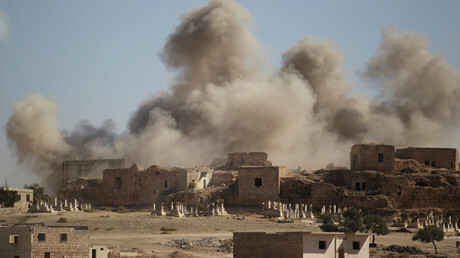 However, Moscow denied the accusations, and blamed Washington for not honoring agreements on Syria. 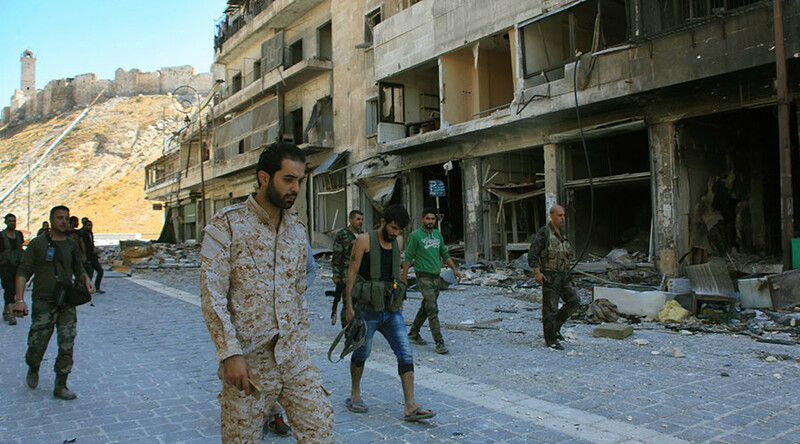 As the violence in Syria gathers new momentum, all efforts to cease hostilities have failed. At the UN Security Council, earlier this month, US envoy Samantha Power slated her Russian counterpart with regards to Moscow’s objectives in Syria, while Russia accused the US of not living up to its promises. On Wednesday, top US and Russian diplomats exchanged mutual accusations as they shared their positions on peace prospects in the war-torn country. Washington is preparing to suspend the “bilateral engagement” on Syria with Moscow, including the establishment of the Joint Implementation Center, unless Russia immediately halts the attack on Aleppo and restores the ceasefire, John Kerry told Russia’s Sergey Lavrov. The Russian FM asked the US to live up to its obligation to separate US-backed opposition from terrorists. When asked by a journalist from Russian tabloid Komsomolskaya Pravda what had happened in Syria that had erased the months-long diplomatic effort, Zakharova said that the context of current Russian-US relations should be examined through the prism of domestic US politics that impacts Washington’s behavior on the international stage. The spokeswoman explained that US behavior in terms of its approach to Syria and Russia in general is influenced by two facts, the first of which is the inability of the outgoing US President Barack Obama to produce tangible results in terms of his stated foreign policy objectives which have not materialized after eight years in office. Now in order to secure his legacy in the international arena, the office of the Noble Peace Prize laureate is being “hysterical” and getting “impudent” in its foreign policies. The second domestic process that impacts American diplomacy is the US presidential election race where both candidates, Democrat Hilary Clinton and Republican Donald Trump, are manipulating foreign issues to secure their victory, especially when it comes to US relations with Moscow. “Unfortunately, this is the trouble of the modern world, where the largest and most powerful empire uses international relations and international platforms for addressing internal issues, political processes and ambitions. It is our misfortune. We are all hostages to it,” Zakharova said. Claiming that no one is buying this “wag the dog” approach, Zhakharova stressed that battling terrorism calls for an “adequate action,” namely combining efforts with Russia on Syria. 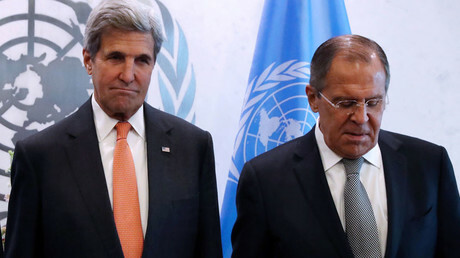 “Now it has come to this critical moment – either they fulfill their obligations, or the [peace] process can really slow down seriously,” the diplomat stressed, reiterating Lavrov’s comments to Kerry earlier in the day. The US and its allies are using “cliches”, demanding that Russia must explain its actions Syria and prove the “seriousness” of its commitment to peace. “It is they who have to prove the sincerity of their intentions with regard to Syria ...that they see this state as a state, not some colony or some kind of black hole,” she said.